Share some personal information about yourself. What defines you? What are you passionate about? 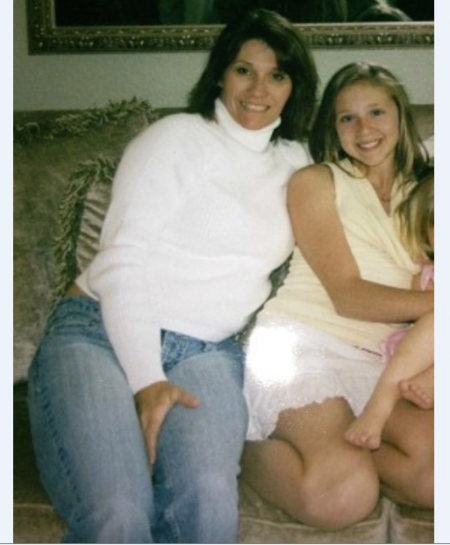 I’m Darla Andrews 51, a mom of five beautiful girls and married to my best friend and hubby for 25 years. I’m passionate about fitness and helping others discover how to live a fit, healthy lifestyle and reach for their dreams. I’ve been active throughout my life. At the age of 19 I started teaching group exercise and continued teaching it off and on for fun while running my own daycare business and raising my kids. In 2007 I got certified as a personal trainer and ran a small group boot camp. In 2011 my hubby (who is a chiropractor and Active Release Technique specialist) and I bought a building. We offer Chiropractic, ART Treatments, Laser Therapy, Fitness, Massage and Nutrition in Orange County CA. He runs the chiropractic side and I run the fitness side of things. I’m so blessed to be able to do what I love! What motivates you to tackle your fitness goals? At age 43 when my youngest daughter was around 3, I found myself out of shape, overweight and lacking energy so I decided to make a change. Having been fit in the past, I knew I needed to make my health a priority and get back in shape. I joined a boot camp and loved the classes. They were challenging and fun. In 2007 I became a certified Personal Trainer and started my own small group boot camp. I also began teaching fitness classes again at several gyms in my area and continued to lead a fit, active lifestyle including running- which I didn’t develop a passion for until my early 40’s. Since then, I’ve completed 6 half marathons, 2 full marathons and several shorter distance races. I’ve also enjoyed challenging myself in several Obstacle Course Races- including two Super Spartan (a 9 mile race with over 25 obstacles) and completed my first Triathlon in April of 2015. 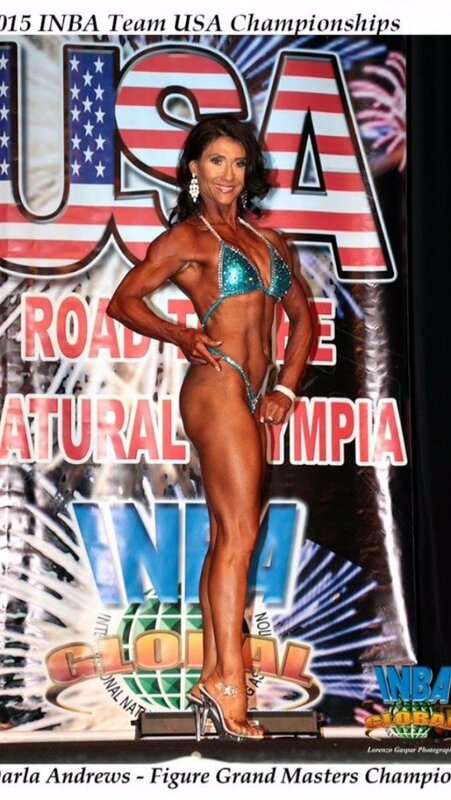 In 2013, at age 49, I was talked into taking on a completely different challenge..my first ever figure competition and I was scared as heck. I just wanted to see if I could even get into that kind of shape. Well, I did and I ended up placing 1st in my class and overall in my age group. I was set to compete in Masters Nationals but had to pull out 3 weeks prior due to some medical issues. I didn’t think I would ever compete again. After researching that there were many different ways to prep for a show that weren’t so “unhealthy” and hard on my body(thanks to Oleysa!) I made my way back to the stage and competed in 3 back to back shows in the INBA (Intl Natural Bodybuilding Assoc) at age 51. I earned my Pro Card in the PNBA and competed in the Natural Olympia placing 2nd in my 1st show as a Pro! I would have never dreamed that my fitness would take me this far. It’s been amazing and I don’t plan on stopping anytime soon! Finding ways to challenge myself and having a specific goal to train for is what motivates me. What has been your proudest fitness accomplishment to date? My proudest accomplishment to date is having my story published on Bodybuilding.com as an Over 40 Amateur of the Week after my 1st Figure Competition. Getting up on stage in a bikini was a huge accomplishment and something I thought I would never do. The fact that I’ve inspired other women my age is one of the most rewarding things there is. What do you love most about the fitness lifestyle and being in shape? Not only have I built a strong fit body, but it’s made me a stronger person from the inside out. When you push past what you think you can do, you grow both strong both physically and mentally. What’s been the hardest obstacle to overcome in your path to reaching your goals? Time. I’m a busy, working mom and it can be tough to carve out the time to take care of yourself, but over the years I have learned to make fitness and living healthy a priority. Tell us about your future goals and dreams, relating to fitness or otherwise. My future goals, when it comes to fitness, is to continue to challenge myself. I plan on doing another Triathlon and possibly more OCR’s. I”m not sure if I’ll compete again, but I never say never! I would also like to write a book that will help motivate and inspire others to live their best life possible. Leaving a legacy and being an example to my daughters, clients and those around me is my biggest life goal. What’s your favorite “clean” meal or food item? List as many as you like! That’s a toughie! I love Sushi with Japanese Sticky Rice, Pizza, Mexican Food and I have a serious sweet tooth. It’s hard to narrow it down because it depends on what I’m in the mood for! What type of training do you like best? I LOVE running, TRX Training, Lifting Weights and doing Full Body Metabolic type of training. I pretty much just love being active. I also love hiking, kayaking and horse back riding. What kind of music helps motivate you in the gym? Your favorite motivational quote. What thought helps you get moving when exercising is the last thing on your mind? “Hard Work + Dedication = Results” “Motivation is what gets you started. Habit is what keeps you going”- Jim Rohn “Discipline is the difference between goals and accomplishment”- Jim Rohn “Clear Your Mind of Can’t”- Samuel Jackson “Abs Are Made in the Kitchen” Getting my workouts done 1st thing in the am before my family gets up is what helps me get it done. If I don’t feel like it, I put my workout clothes on and do it anyway. I always love how I feel after, it sets up my day and energizes me. What’s the best piece of advice you can offer someone who’s looking to get in shape or reach her fitness goals? Make small changes that you can be successful at. Don’t try to do it all at once. Be patient and trust the process. Always remember that fitness is a lifestyle and there is no finish line! If there are any people you’d like to thank for helping you on your journey, do so here! God, my hubby Todd, my family and my friends and of course Oleysa Novik!! Never let fear get in the way of what you want to accomplish. You are always stronger than you think. Would you recommend Olesya’s coaching services to others? If so, please describe what made your experience positive …? I want to take a minute to give a huge shoutout to my Figure Comp prep coach Olesya Novik! I’m so very thankful that I found a coach who’s number one focus was getting me back on stage in a way that was healthier and lined up with my philosophies and allowed me to compete in 3 shows in just under 3 months and still feel good! There is NO WAY I could have done it without her and felt as good as I did. While winning is important, health is even more important and a show prep diet can be extremely taxing on your body. While I’ve coached many clients in fitness and nutrition, prepping for a comp is entirely different and Im still pretty new to it. I have learned so much working with her over these last 6 months! Yep that’s how long I worked to get where I did! The best part is that I felt so good even after the shows that I was able to get back to my usual fitness routine right away! Even coaches need coaches and I’m blessed to have had the opportunity to have learned from one of the BEST! 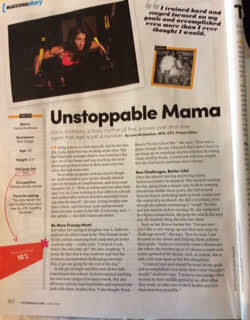 I just wanted to let you know that my story is in the June issue of Oxygen Magazine!! I just got it today! So exciting, wanted to let you know and to say thanks again for all your help in reaching my goals last year. This entry was posted in articles, Motivation, Success Stories. Bookmark the permalink. 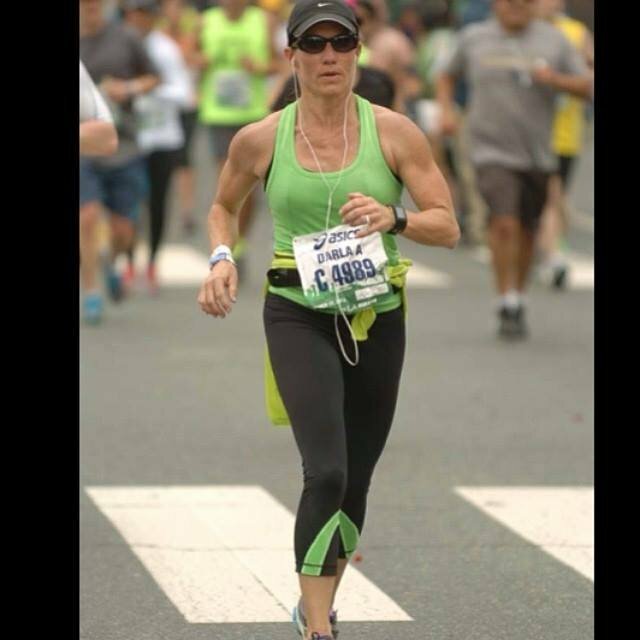 Thank you for the inspiration from another mother of five with similar fitness goals!